Tyler McPhee’s work has been highlighted here before, in 2008. 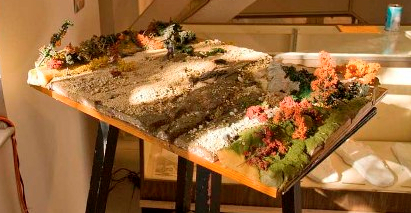 Artist McPhee had an installation that year entitled In Search Of…, at the Center for Contemporary Art in Rockport, Maine. 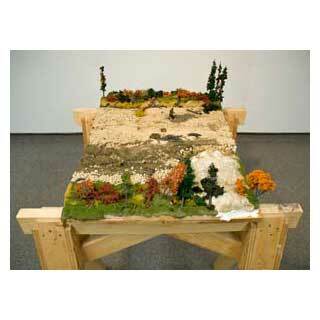 It is to be recalled that McPhee’s work of art began originally in a folksy format in 2007, as a garage installation. In 2012, as a graduate from Syracuse University’s Master of Fine Arts, Sculpture, program, McPhee’s life had evolved. 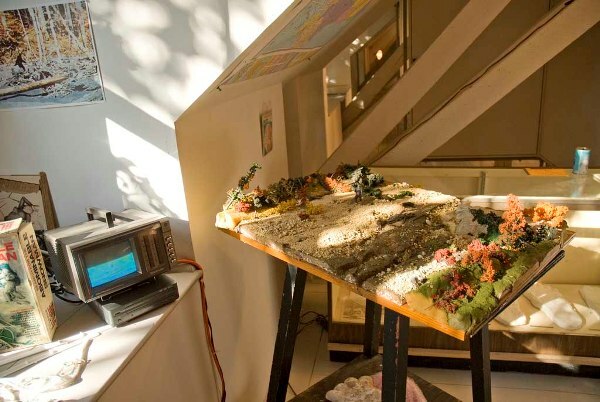 In September of last year, he accepted a position working in the art field in New York City. 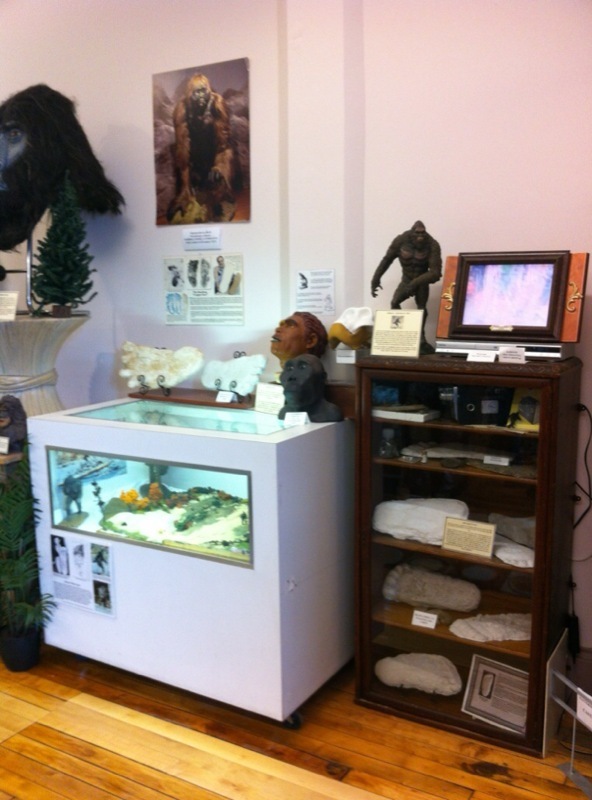 Soon after that, he donated to me the elements of his installation, to be displayed in the International Cryptozoology Museum. We all appreciated that. 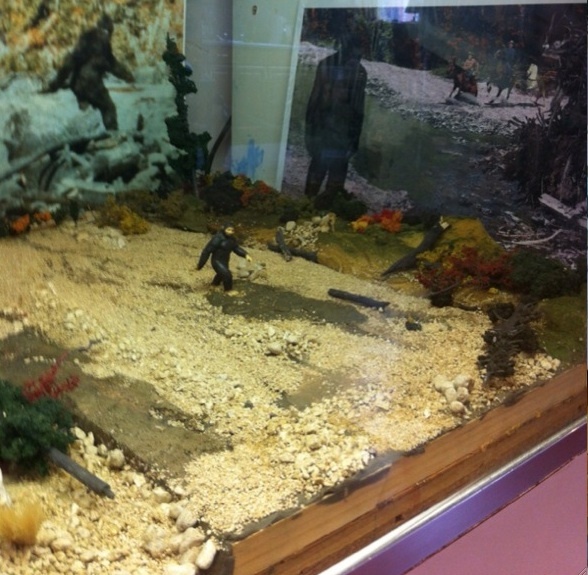 The centerpiece of this contribution was Tyler McPhee’s remarkable diorama of the Patterson-Gimlin Bigfoot 1967 filmsite. 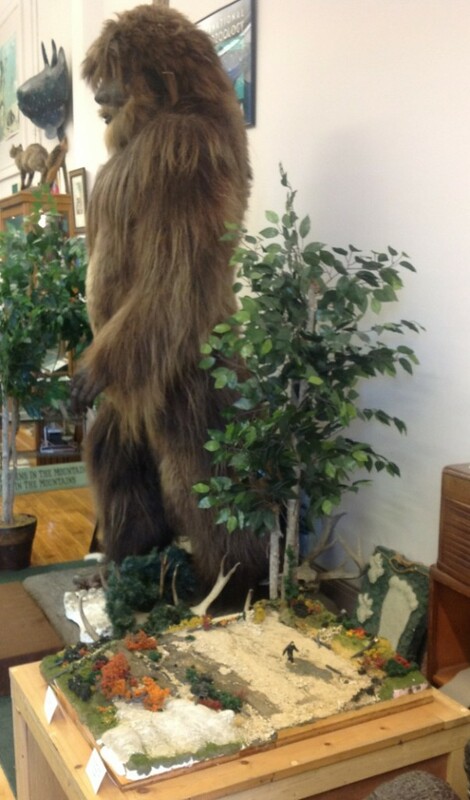 He calls it The Whole Picture, an expanded model of the famed frame from the Patterson-Gimlin footage. 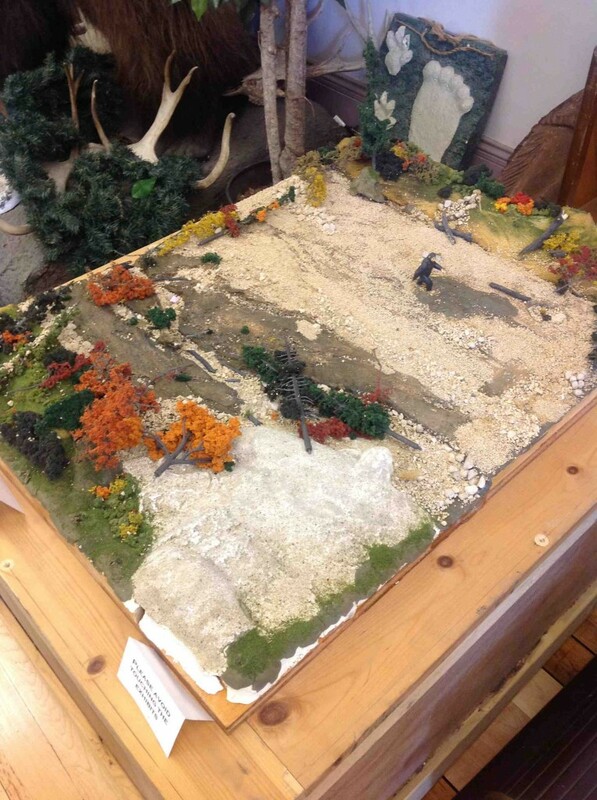 What we soon discovered, however, was that despite signs and requests, people would touch the exhibit. Too often. On March 8, 2013, our Assistant Director Jeff Meuse recurated The Whole Picture in a glass unit; he also installed new lighting. 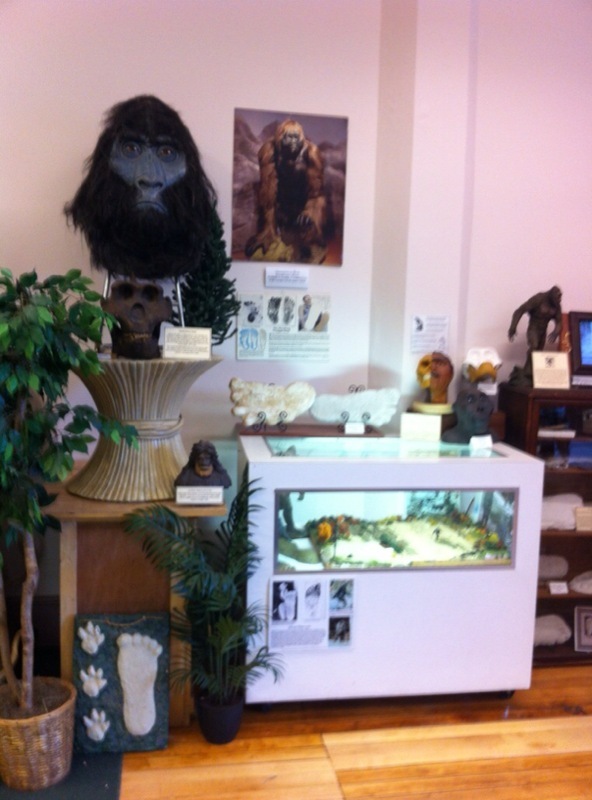 The museum’s Meuse made McPhee’s classic Bigfoot scene into a display that enhances it. 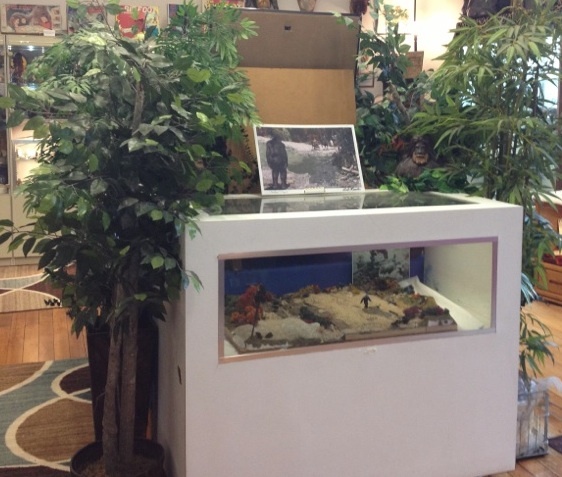 This now serves as an ideal viewing area of the Patterson-Gimlin film diorama. 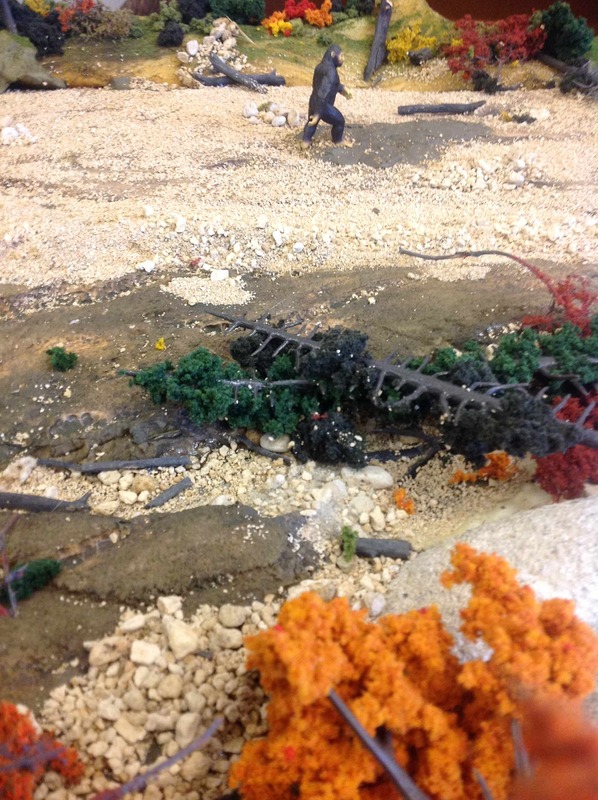 The Tyler McPhee diorama has been moved into the outer Art Room to give it some artistic company and some better viewing opportunities.